We continue our countdown to the 2017 IFTA Film & Drama Awards Ceremony (Saturday April 8th at the Mansion House, Dublin), with a look at the nominees of the Make-Up & Hair category. Nominated projects include ‘An Klondike’, ‘Love & Friendship’, ‘Wrecking the Rising’ and ‘Vikings’. Drama features prominently in this year’s category with three out of the four nominated projects ‘An Klondike’, ‘Vikings’ and ‘Wrecking the Rising’ noted as visible drama series which have gathered many other nominations at the 2017 IFTA’s. ‘An Klondike’ received its first nomination within this category at last year’s awards and celebrated by taking home the 2016 IFTA award for Best Make-Up & Hair. Ailbhe Fitzpatrick and Stephanie Smith won last year for their work on ‘An Klondike’ series one and this year for the second ‘An Klondike’ series we have Ailbhe Fitzpatrick again nominated but this time alongside Bernie McBride. Ailbhe’s credits include; 'Fir Bolg', 'The Hallow', ‘Stay’, ‘My Phone Genie’ and recent titles in production include television series ‘Grace Harte’ and 2017 thriller movie ‘Muse’. Bernie Mc Bride has worked across many TV and film projects over the years. Her most recent credits include the Drama Series ‘Grace Harte’, An Klondike 2 , ‘Jack Taylor’ and the Feature Film ‘Pursuit’. Eileen Buggy is nominated for her work as a key hair stylist on ‘Love & Friendship’. As a hair and make-up designer Eileen has worked on productions such as 'In the Name of the Father', 'Butcher Boy', 'Disco Pigs', 'Frank' and 'The Lobster'. Having worked in film and TV for over 20 years, Eileen won an IFTA award in 2013 for her work on the Amazon period drama series ‘Ripper Street. Lynn Johnson, is nominated for her work as key makeup artist on ‘Love & Friendship’. Lynn began her career in film in 1990 and worked on films such as 'The Commitments', 'Hear My Song', 'Far & Away', 'The General', 'The Tailor of Panama', 'Reign of Fire' and 'Apocalypto'. Lynn has previously won three IFTA Awards for ‘Byzantium’, ‘Breakfast On Pluto’ and ‘Albert Nobbs’ with the latter project also landing her an Oscar nomination in 2012. Johnston has also been IFTA nominated in the past for ‘Frank’, ‘Intermission’ and ‘Shadow Dancer’ while other notable credits include ‘The Wind That Shakes The Barley’ and ‘King Arthur’. 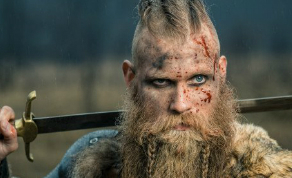 Nominated for ‘Vikings’ are key makeup artist Tom McInerney and key hair stylist Dee Corcoran, who were both 2015 IFTA winners in this category for the same project. Tom McInerney has been nominated for seven IFTA Awards in the past including ‘Vikings’, ‘Titanic: Blood and Steel’, ’The Tudors’, ‘Camelot’, ‘Prosperity’ and ‘Adam And Paul’. Aside from his 2015 win, McInerney also won the award in 2011 for ‘The Tudors’. He has also worked on ‘Savage’, ‘Garage’, Wild Decembers’ and ‘Traders’. Dee Corcoran is celebrating her twelfth IFTA nomination this year. She has received the award on five occasions three times for ‘The Tudors’, once for ‘King Arthur’ and once for ‘Vikings’. Dee’s other credits of hers include ‘Leap Year’, ‘Veronica Guerin’, ‘Camelot’, ‘Tara Road’ and ‘The Butcher Boy’. Patsy Giles is nominated for her work as makeup and hair designer on the three part drama episodes of ‘Wrecking the Rising’. A graduate from Dun Laoghaire College of Art & Design, Patsy has extensive experience working across Film/TV /Opera and Theatre. Patsy's credits include; the film 'Spin the Bottle' which she received an IFTA nomination for in 2004. Her other credits include, ‘Three Wise Women’, 'The Last Hotel', 'Survivor', ’The Bachelor Weekend’, ‘Waiting For Godot’,‘The Sticks’, 'Trial of the Century' and most recently Nick Kelly’s 2017 drama 'The Drummer and the Goalkeeper'.